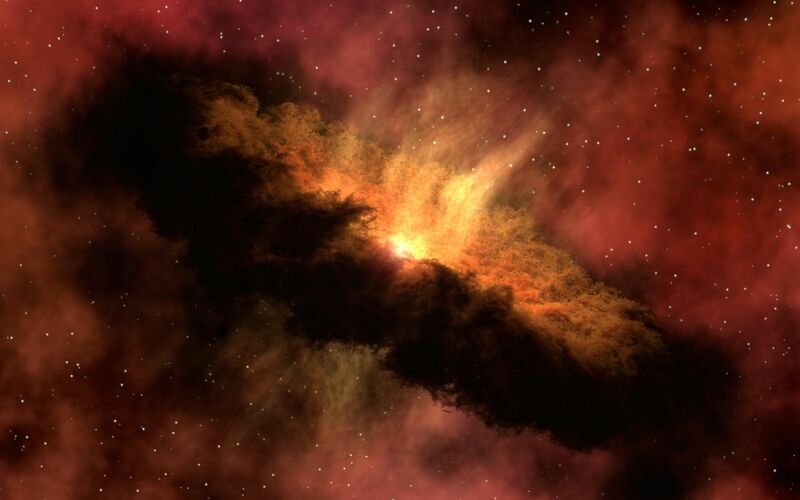 NASA's Spitzer Space Telescope observed a fledgling solar system like the one depicted in this artist's concept, and discovered deep within it enough water vapor to fill the oceans on Earth five times. This water vapor starts out in the form of ice in a cloudy cocoon (not pictured) that surrounds the embryonic star, called NGC 1333-IRAS 4B (buried in center of image). Material from the cocoon, including ice, falls toward the center of the cloud. The ice then smacks down onto a dusty pre-planetary disk circling the stellar embryo (doughnut-shaped cloud) and vaporizes. Eventually, this water might make its way into developing planets. 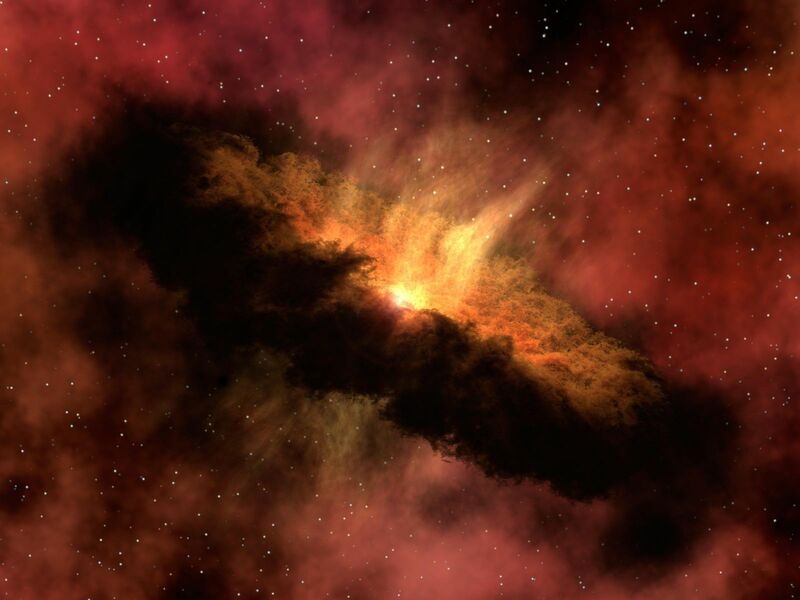 This image by NASAs Spitzer Space Telescope shows W40, a nebula, or a giant cloud of gas and dust. The magnetic field lines of the the Cigar Galaxy (also called M82) appear in this composite image produced by NASAs Spitzer Space Telescope. The lines follow the bipolar outflows (red) generated by exceptionally high rates of star formation. These three images, by NASAs Spitzer Space Telescope, show merging galaxies observed for the Great Observatories All-sky LIRG Survey, or GOALS.